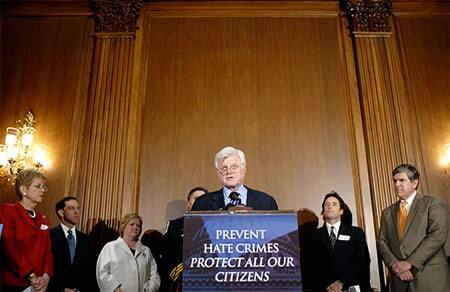 Ted Kennedy, D-Mass., and Gordon Smith, R-Ore, introduced the Local Law Enforcement Hate Crimes Prevention Act in the Senate yesterday, renaming the Senate version of the legislation in honor of hate crime victim Matthew Shepard, brutally slain in Wyoming in 1998. Supporters are hopeful the bill will pass Congress. For ten years, similar pieces of legislation have gone through the House or Senate but have never gone so far as to reach the President’s desk.